Kerryn Wilmot is a highly experienced architect specialising in sustainability. 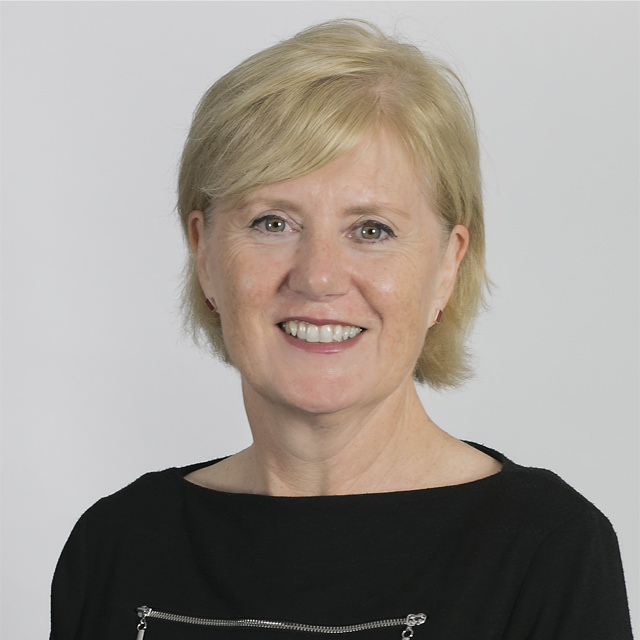 Kerryn’s practical experience from a 30-year career as a consultant architect in Victoria delivering complex design projects demonstrates her systems analysis approach and an ability to run multi-disciplinary teams, manage information flows and co-ordinate technical requirements. She co-leads the Cities and Buildings research area at the Institute for Sustainable Futures and supports the coordinator of the Sustainable Digital Cities Network in investigating the impact of technology and new ways of working on the urban environment. Formerly an Associate at Spowers Architects, Kerryn was the project leader for the industry-leading 60L Green Building in Carlton, Victoria that won a Banksia Award and influenced today’s commercial buildings and sustainable development tools. The project included first principles research of materials’ impacts, in a process that eventually lead to the formation of Ecospecifier. At Spowers and later at Williams Boag Architects, Kerryn specialised in sustainable development, advised on enhancing project sustainability and audited project environmental credentials. She contributed industry knowledge to the Williams Boag Research software tool that quickly assesses the financial feasibility of a sustainable development project at its inception, developed under an ARC Linkage grant. Kerryn lead 2 design projects in China with energy efficiency and sustainability agendas and earlier during a period of self-employment pursued development options there. She was the Accredited Green Star Professional for a 5-star Green Star rated new senior school campus in ACT. Kerryn has also been a guest lecturer at several universities and tutored in Sustainable Buildings and Environmental Building Services for the University of Melbourne. Prior to joining ISF, in her spare time Kerryn was an active member and treasurer of the Public Transport Users Association, lobbying for improved public transport in Victoria, in recognition of the need to for good sustainable transport options for liveable urban environments. She represented PTUA on the Minister for Transport’s Station Users Panel, and on the Metropolitan Transport Forum, an advocacy group of metropolitan local governments in Melbourne. Kerryn’s role at ISF is to contribute to the development of the Cities and Buildings research area. Combining a practical background with current applied research work, she has an understanding of the complexities of providing infrastructure, and the impact of development and infrastructure on the amenity and functionality of the urban environment. Her particular interests focus on city systems and infrastructure, the development of sustainable built environments, public transport and governance. She is a member of the International Living Futures Institute and an Australian auditor for the Living Building Challenge. Wilmot, K, Nagrath, K, Dunstan, C & Wyndham, J 2018, Demand Response Opportunities for New Residential Buildings in Victoria. Prior, J, Wilmot, K, Daly, M & Madden, B 2018, How do households adapt to heat events in Western Sydney?, prepared for NSW Adaption Hub, Office of Environment and Heritage, by Institute for Sustainable Futures, UTS, Sydney, Australia. Wilmot, K, McGee, C & Dunstan, C 2018, ARENA Energy Productivity Scoping Study HVAC in Buildings Case Study. Wilmot, K, Zeibots, M, Bitzios, D & James, B 2017, WAVERLEY'S PEOPLE, MOVEMENT AND PLACES KEY ISSUES REPORT, NSw. Wilmot, K, Zeibots, M, Bitzios, D & James, B 2017, WAVERLEY'S PEOPLE, MOVEMENT AND PLACES STRATEGY REPORT, NSW. Wilmot, K, Zeibots, M & Bitzios, D 2015, Waverley People Movement Places Study Characteristics and Issues Report Presentation, NSW. 'How can industry establish and maintain a strong culture of research and development and higher education training in HVAC&R?' There is a significant need for leadership, a strategic agenda and good communications between industry and researchers. These are the core findings of a 'HVAC&R R&D' summit hosted jointly by the Australian Institute of Refrigeration Air Conditioning and Heating (AIRAH) and the Institute for Sustainable Futures at UTS (ISF) to discuss the level and direction of HVAC&R research and development work being undertaken in Australia. This study sets out to explore the potential for smart work centres in the local government areas of Liverpool, Blacktown and Penrith in Western Sydney. Smart work centres are differentiated from other work environments like main workplace, serviced offices, coworking spaces, third spaces and home offices by location, operations and atmosphere. Targeted to serve teleworkers, they are located close to where people live, provide a fully serviced formal workplace but operate with a community atmosphere that engenders creativity and innovation. This report investigates the circumstances that support teleworking, examines the commuting patterns and demographics of the 3 LGAs, and then analyses census data to predict a demand for a centre in any one of the 3 locations. The report goes on to propose a scenario for a successful centre based on the findings from the research. The Better Buildings partnership (BBP) has previously investigated the tenancy processes that generate waste successive cycles of fitout, de-fit, make good and re-fit. This research project has been commissioned to explore why waste occurs in commercial building fitouts and what can be done about it, with a particular focus on the materials that dominate the fitout waste stream. The characteristics of each material and aspects of its usage are explored to determine how to improve reuse and recycling rates. The Institute for Sustainable Futures (ISF) conducted in-depth interviews with 15 industry participants for this study, ranging from architects and property managers through to contractors and manufacturers. We also reviewed literature to provide context, however we found the available literature somewhat limited in terms of its currency, depth and local relevance. It is the interview conversations that provide a rich picture of the myriad issues and day-to-day problems that make it hard to institute a less wasteful, circular economy. The study attempts to place the problems in the context of the whole system to highlight possible solutions. McGee, CM, Wynne, LE, Milne, GR, Dovey, C, Mitchell, CA, Prior, JH, Sharpe, SA & Wilmot, K 2014, Guiding World Class Urban Renewal: A Framework for UrbanGrowth NSW, prepared by Institute for Sustainable Futures, UTS, Sydney, Australia. Wilmot, K, 'Proceedings of the World Conference SB08'.